If you’re looking for something handmade and unique then you have come to the right place. Workshop is home to Susan Fleming Jewelry and Dormouse Designs and many, many more hand-picked artisans. 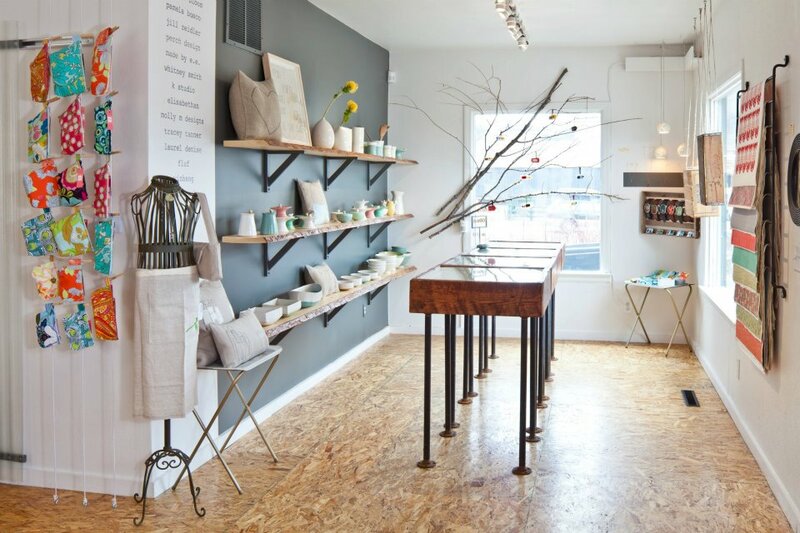 Our retail shop stocks hand made items, including jewelry, ceramics, wall art, children’s goods, and much more. Located in Jackson Wyoming, feel free to stop in and peruse our shelves or, for those a little farther away, visit our web shop! Take a Peek inside WorkShop! Makeup bags, biz card holders, checkbook covers and more. k.studio ipad and laptop cases. 2011© David Agnello made by e.e. hand-stitched linen pillows. Felt pelts, perfect for protecting your kindle or nook. A special piece from made by e.e. Elisabethan skirts, handmade from repurposed fabrics. Molly M. earrings & pendants. Susan Fleming Belt Bucks, Silver and resin. Donna Wilson hot water bottles. Tracey Tanner wristbands. We have double and triple wrap, too! Can’t make it to the brick and mortar? Check out the online shop!